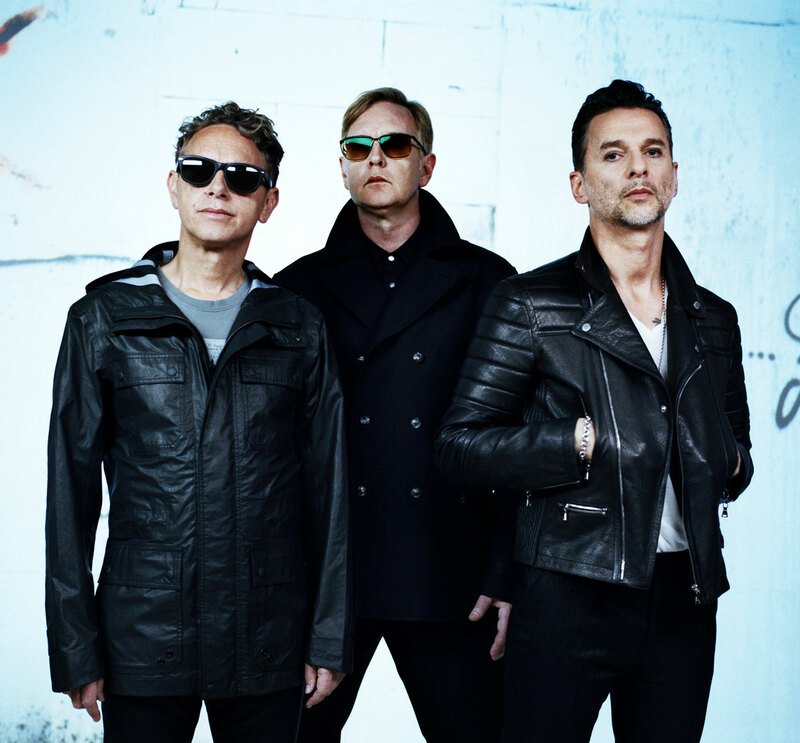 Over the past 35 years Depeche Mode have redefined what makes a rock band. One of the first groups to bring synthesizer based music in the mainstream, they’ve developed from up-beat new wavers to purveyors of a dark sound that mines Goth, industrial and the blues, forging a sound unmistakably their own. If you’re new to the group and wondering where to start, here are the 10 greatest Depeche Mode albums that cover their diverse style and musical evolution. And if after listening you fall in love with their music just like I did, here are some more bands for you to check out – I guarantee you’ll like them too! Depeche Mode suffered a potentially fatal blow early in their career. Shortly after the success of their catchy pop single Just Can’t Get Enough primary songwriter Vince Clarke left the band, going on to form Yaz (and later Erasure). So it was left to band-mate Martin Gore to helm songwriting duties, which marked the group’s steady transition from electronic pop to a darker musical and lyrical direction. This was first showcased on their album A Broken Frame, including the heartbreaking Leave in Silence, the navel gazing The Meaning of Love and the yearning See You. One year after A Broken Frame, Depeche Mode reentered the studio for their follow up Construction Time Again. The album shows maturation both lyrically, compositionally and production wise, with Gore incorporating elements of industrial music and new member Alan Wilder adding new layers of sonic sophistication. Two notable examples include on the haunting Pipeline and Gore’s cautionary ode to 80’s materialism Everything Counts. Gore took a decidedly retro direction for Universe, using vintage keyboards to approximate the group’s 80’s synth-pop sound, but with a rockier edge. This is perfectly encapsulated in the album’s first single Wrong, accompanied by one of their strongest music videos. Other tracks of note include the dizzying Fragile Tension and Gore’s sultry torch song Jezebel. Reward marked another step forward in Depeche Mode’s on several fronts. It continued their exploration of industrial and Goth, and it showcased stronger performances from lead singer Dave Gahan, as well as an increased vocal presence from Gore, such as the ballad Somebody. The album also celebrates a milestone: after years of solely providing vocal duties, Gahan demanded songwriting input and penned 3 tracks, the finest of which is the ominous yet oddly uplifting Nothing’s Impossible. Songs was recorded under trying circumstances. With Gahan battling drug addiction, and Gore and Wilder clashing over songwriting and production, it was up to producer Flood to guide the group towards their most diverse album. Motivated by Gahan’s enthusiasm for Jane’s Addiction, Gore’s guitar presence became more prominent on tracks like I Feel You. And the group ditched electronics altogether for One Caress, with Gore’s ode to dark romance enhanced by a full orchestra. But the primary influence on the album is that of blues and gospel, showcased on the brooding Walking In My Shoes and the choir-drenched Condemnation. Essential Tracks: I Feel You, One Caress, Walking In My Shoes, In Your Room, Mercy In You, Rush, Condemnation. But Ultra doesn’t mire itself in despair, it also features stirring tracks like Home (featuring Gore’s best guitar solo) and transcendent tunes like Freestate and Insight. Ultra was unfairly panned at the time of its release: critics bemoaned Wilder’s departure and knocked the album’s lack of upbeat numbers in the midst of the rise of techno. But that in the end, gives it a timeless quality, and proved that Depeche Mode isn’t bound by trends. They’re a musical genre onto themselves. Essential Tracks: Barrel of a Gun, The Love Thieves, Home, Useless, Freestate, Sister of Night, It’s No Good. Black Celebration showed the group’s final transition from synth-pop to dark sonic majesty. Each track blends in seamlessly with the next, featuring lyrics exploring death and decadence. The title track is a Goth anthem, Fly on the Windscreen is a harrowing classic, and A Question of Lust is one of their best ballads. Music’s title would prove prophetic, as it broke the group wide globally, and firmly established the British group in the States (even if according to the band, the title was coined as a joke due to the album’s perceived lack of commercial appeal). From the opening track Never Let Me Down Again, the band’s sonic progess is apparent: denser, grandiose soundscapes augmented by cinematic production. That filmic feel bled into Masses’ videos directed by Anton Corbin, who seized on the moody appeal and sexual tension on songs like Strangelove and Behind The Wheel. Masses global success would set the stage for the biggest album of their career, and the number one spot on our countdown. Essential Tracks: Never Let Me Down, Strangelove, Sacred, Little 15, Behind The Wheel, To Have and To Hold, I Want You Now. Violator was propelled by the success of its first single Personal Jesus: it’s blend of rockabilly guitar and dance-beats were an instant hit. Producer Flood helped Gore and Wilder expand the group’s sound with breathtaking results. Another crucial element to Violator’s success lies in Gahan and Gore’s dual part harmonies. Used to more extent than ever before, their dueling baritones caused chill inducing moments on tracks like Halo and smash hit Enjoy The Silence. From the multi-layered percolating percussion of World In My Eyes, the funky Policy of Truth, and haunting Waiting for the Night, Violator is Depeche Mode’s crowning achievement, making them one of the biggest bands in the world in the process. Essential Tracks: All of’em. As close to perfect as an album can get. So that wraps up my top 10 albums of Depeche Mode. If you’re looking for where to start you can’t go wrong with Violator. It still sounds amazing 25 years on. And I’ve also included some honorable mentions below for three albums that barely missed the cut. Now it’s your turn: what would make your top 10 best Depeche Mode albums?